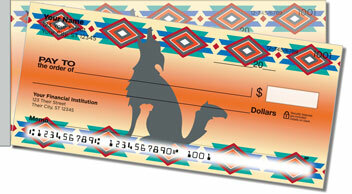 Add character and culture to your checkbook when you choose personal checks with a southwestern motif! Each of the four designs in this set features a symbol from the culture of southwestern America. 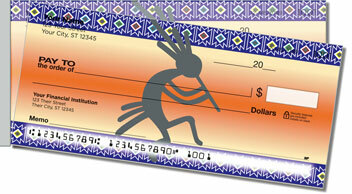 That includes a flute-playing Kokopelli, a coyote howling at the moon, a gecko for good luck and more! Symbols of the Southwest Side Tear Checks are just one of many designs available at CheckAdvantage celebrating rich traditions and legends. 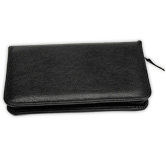 You'll find that the side-tear option allows you to easily pull checks from the pad without worrying about ripping. That's a convenient advantage if you like avoiding aggravation! 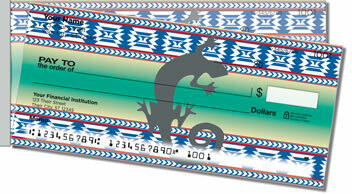 Get your own Symbols of the Southwest Side Tear Checks today! 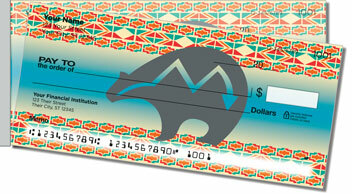 This design and others featuring southwestern style can also be ordered with matching address labels!